2005-2008 Dodge Nitro. 2008-2010 Dodge Challenger. 2008-2010 Dodge Avenger. 2007-2009 Dodge Caliber (Not fit SRT-4 Model). 2005-2008 Dodge Grand Caravan. 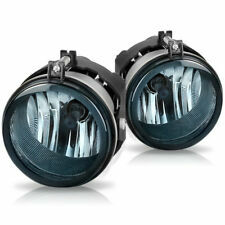 Pair of Fog Lamp with halogen bulb included. • Material: Clear Polycarbonate Lens. 2005-2008 Dodge Nitro. 2008-2010 Dodge Challenger. 2008-2010 Dodge Avenger. 2007-2009 Dodge Caliber (Not fit SRT-4 Model). 2005-2008 Dodge Grand Caravan. Pair of Fog Lamp with halogen bulb included. 2007-2009 Jeep Patriot. 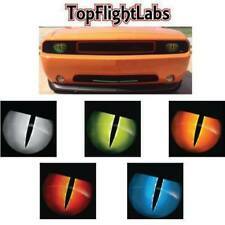 For 2013-2014 Dodge Challenger SRT-8 Fog / Driving Light. For 2010 Dodge Avenger. For 2011-2012 Dodge Challenger. For 2010-2011 Dodge Nitro. For 2010-2012 Dodge Caliber. 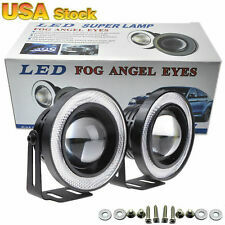 1 Pair Fog Lights. Lens Color: Clear. They are designed specifically for your vehicle and provide an integrated look. These will not fit a Hellcat. Genuine Mopar OEM Parts! Mopar warranties their parts for 24 months/unlimited miles. Warranty does NOT cover altered, modified, tampered, or abused parts. FITS 2015, 2016, & 2017 SXT COUPE 2-DOOR. DODGE CHALLENGER. (THIS IS THECORRECT OE STYLE PROJECTOR LAMP FOR YOUR CHALLENGER). (THIS IS THE CORRECT OE STYLE PROJECTOR LAMP FOR YOUR CHALLENGER). 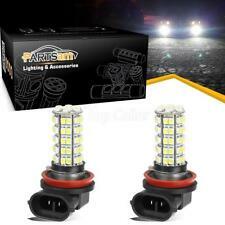 Original Part Numbers: 5182021AA or AB (FOG LAMP FITS EITHER SIDE). The compatible vehicle lists is only partial lists,no fully included due o Ebay listing compatible vehicles limitation. 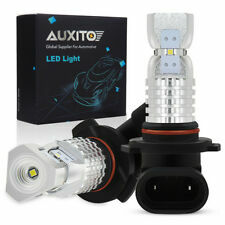 IF your car Socket type is PSX24W 2504,the item is fit your car Description This item is pair of extremely bright high power 50W PSX24W 2504 dual filament Xenon White LED Lights bulbs as car Fog light, DRL( daytime running light),backup light，reverse light，turn signal light, brake lights, tail lights, rear side marker lights,etc. Our bulbs use high lumens 2400LM and only the best quality and high power chips, equipped with constant-current driving IC which will have bigger difference between high & low intensity, highly recommended..
Plug Type: H10 9145 9140. 2 x H10 LED Bulb White 6000K. Be careful to avoid crushing or cutting the bulbs. Also make sure to not touch the bulbs with your fingers, as this will cause blotting. No delay to light up, lighting instantly. 2PCS LED Bulbs. Pls note this bulb has no high/low beam function, it can’t be used high/low beam headlight. 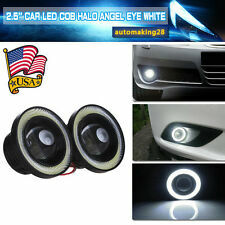 Fog light compatible vehicles Color:6000K White. 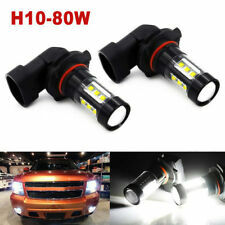 2007, 2008, 2009, 2010, 2011, 2012, 2013 Chevrolet Avalanche ,2010, 2012, 2013 Chevrolet Camaro (For Chevy Camaro with Halogen Headlights trims, only.). OEM Style Headlight|Fog Light Switch. Factory Style Switch. Our main distribution center is over200,000 sq ft in sunny Southern California. No local pick up. 2015-2017 Dodge Challenger (Bezel does not fit SRT models). Fog light housing. No installation instruction. Halogen light bulbs. Completed set included Left and Right Sides. 2013-2015 DODGE CHALLENGER. 2011-2014 DODGE AVENGER. CLEAR LENS WITH WIRING & SWITCH. CLEAR FOG LIGHT KIT PART #MBA30-0443-09CW. FOG LIGHT HOUSING (PAIR). Instead, feel more confident than ever with a fog light kit that leads the way, no matter where your travels take you. 2015-2016 DODGE CHALLENGER RT, SRT8, SXT. CLEAR PROJECTOR FOG LIGHT KIT PART #MBA506-09. PROJECTOR FOG LIGHT HOUSING (PAIR). Instead, feel more confident than ever with a fog light kit that leads the way, no matter where your travels take you. Fog Lamp Assembly. Glass Lens. Switch,Harness,Relay,Bezel. Our Lights Use the Highest Quality Butyl Sealant to Prevent any Imperfections to Enter the Light Housing. Our main distribution center is over200,000 sq ft in sunny Southern California. 2008-2010 DODGE CHALLENGER. 2008-2010 DODGE NITRO. 2008-2009 DODGE AVENGER. 2005-2009 DODGE GRAND CARAVAN. 2007-2010 DODGE CALIBER. CLEAR FOG LIGHT KIT #MBA30-0201-09. 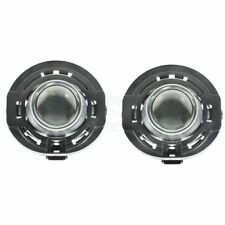 CLEAR FOG LIGHT HOUSINGS (PAIR). CLEAR LENS WITH H11 PERDE BRIGHT WHITE BULB UPGRADE. PERDE BRIGHT WHITE H11 BULB UPGRADE (PAIR). 2013-2015 DODGE CHALLENGER. 2011-2014 DODGE AVENGER. CLEAR FOG LIGHT KIT PART #MBA30-0443-09CP. FOG LIGHT HOUSING (PAIR). Trending at $34.39eBay determines this price through a machine learned model of the product's sale prices within the last 90 days. Description Lens Materials :Polycarbonate Resin Color: Chrome Housing, Clear Lens Made of High Quality Grade ABS Plastic SAE/DOT Approved for street legal Bulb Type: H11 12V 55W OEM # (L): 5182021AB OEM # (R): 5182021AB Partslink # (L): CH2594105 Partslink # (R): CH2594105 100 % Brand new in box. Unused, unopened, undamaged item in its original packaging Compare to original ,it is brighter and has longer life span Item sold in pair(left and right) With Bulbs, all required harness and kits are included. 2015-2018 Dodge Challenger. NOTE: WILL REQUIRE TRIP TO DEALER FOR FOG LIGHT INITIALIZATION AND PROGRAMMING. 2015-2018 Dodge Challenger Models Only. Fog Lights. Corner/ Bumper Lights. Tail Lights. Kit Includes: H11 Bulbs, Pre-Assembled Wiring Harness, On/Off Switch, Relay And Installation Instructions. Demo / Installation Video. 2011-2014 Dodge Challenger. This ONE new fog lamp assembly will fit either the DRIVER, or PASSENGER side on various Dodge, Chrysler, or Jeep models such as the following 2010-2012 Dodge Grand Caravan. CLEAR LENS, BUMPER BEZELS,PERDE BULB UPGRADE, WIRING HARNESS, & SWITCH. PERDE BRIGHT WHITE H11 BULB UPGRADE (PAIR). 2015-2016 DODGE CHALLENGER RT, SRT8, SXT. 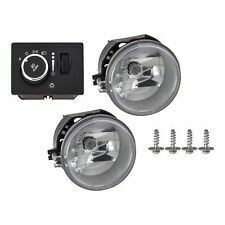 CLEAR PROJECTOR FOG LIGHT KIT PART #MBA506-09P. Socket Type: H10 9145 9140. 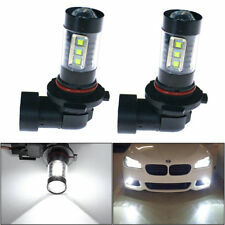 2 H10 Yellow light Led Fog Light Bulbs(as pictured). Color temperature ：4300K Yellow light. This new product has high luminous efficiency, low power consumption and long service life. 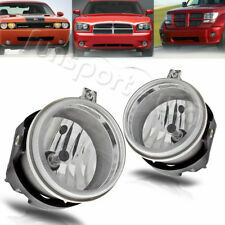 DODGE CHALLENGER FOG LAMP KIT. FITS 2015, 2016, & 2017 SXT COUPE 2-DOOR. (THIS IS THECORRECT OE STYLE PROJECTOR LAMP FOR YOUR CHALLENGER). (THIS IS THE CORRECT OE STYLE PROJECTOR LAMP FOR YOUR CHALLENGER). FOR DODGE CHALLENGER. New Installation Fog Light Kit Includes Projector Style Fog Lights w/ CLEAR H11Bulbs, Black Bezels/Trim, & Harness w/ 3M Switch. PREMIUM QUALITY! FREE & EXPEDITED INSURED SHIPPING!